The details of the car were hidden behind the camouflage. There were photos from the tests of the new crossover combines the brand of Geely and Volvo. According to preliminary data, the market model will be released this year. Brand Lynk & Co established in 2016, is a joint project of Geely and Volvo (a Swedish company, in turn owned by the Chinese). At this point in the line of brand’s three models: the crossover index 01 entered the market in late 2017, and last year he was joined by Junior SUV and sedan 02 03. Until the cars Lynk & Co sell only in China, where the brand launched quite successfully. So, in 2018, and this is the first full year of sales for the brand were sold 120 of 414 machines. If to compare with “world” companies, for example, to the Jeep joint brainchild of Volvo and Geely lacked a little (124 512 sold in 2018 in China ones), but Lynk & Co already ahead of Citroen (113 867 machines). To stop young brand is not going: preparing to debut a new model. 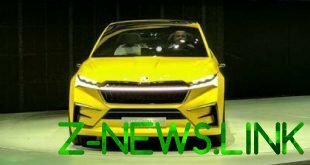 One of the Prime Minister will be the crossover in fashion today in the Chinese market the form factor of the coupe – pictures cars was reported by the local edition Autohome. The portal assumes that SUV with kupeobrazny body will receive the index 05. 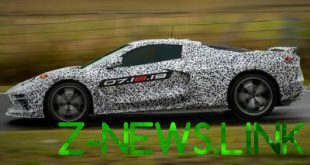 The Quartet, rumored to be given a new hatchback, it is also already tested, but photos of the hatch from the Chinese media yet. According to preliminary data, as well as other models Lynk & Co, kupeobrazny cross built on the platform of CMA (Compact Modular Architecture), developed again, Geely along with Volvo. By the way, this “truck” is still based crossover XC40 Volvo and Polestar electric car 2 (this brand belongs to Volvo). Judging by the spy photos, the design of the front part of the Lynk & Co 05 made in the corporate style of the brand, but blocks the main lights located under daytime running lights, slightly changed shape, plus a new grille pattern. Taillights “coupe” others, not in the form of the letter L, as in Lynk & Co 01, 02, and 03. In the engine range will likely include a petrol Volvo engines family Drive-E, which are installed on other models Lynk & Co. Sedan 03 “Turbotronic” 1.5 capacity of 156 or 180 HP, the same engine is placed on the 02 crossover, this SUV as senior 01 is turbo “four” 2.0 returns in 190 HP with All current models of Lynk & Co put 6АКП or a seven-speed robotic gearbox with double clutch, sedan and “f” can still be bought with 6МКП. For crossovers is provided four-wheel drive. In addition, Lynk & Co 05 as “unity”, can also get a hybrid version based on the motor 1.5 (only on electric Lynk & Co 05 will drive about 51 km). The exact premiere date of “five” yet to be announced. Profile local media report that China sales Lynk & Co will start before the end of this year. Meanwhile, the parent company of Geely is also preparing to bring to market a cross-coupe. In China, this model will appear in the near future, where it will be sold under the name Xingyue (pronounced “Zegna”, factory index – FY11). The basis of crossover Geely is the same platform CMA, it will be offered with a 238-strong “turboservice” 2.0 Volvo – it is possible that this engine will get the top version Lynk & Co 05.